Who pulled out, Govt or Sandals? 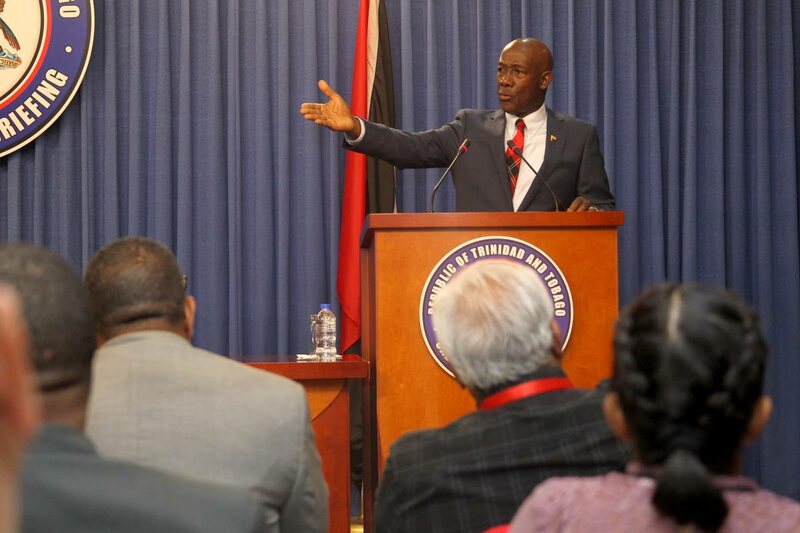 AT THE time I penned this, it would have been before Prime Minister Dr Rowley engaged with the media for over three hours last Thursday at the Diplomatic Centre in St Ann’s. Despite this “conversation” he had with journalists, I feel that we may never know if the TT government was honest about the background to the Sandals pullout. But supposing, the real reason is that the government on its own volition and not Sandals, decided to withdraw from the deal following revelations in the October 2018 Memorandum of Understanding (MOU) between the Government and Sandals Resorts? Let us remember that Afra Raymond had to dig out the MOU via the Freedom of Information Act, following a ruling from the London-based Privy Council. Remember also that immediately prior to the Young/Rainier press conference there was a closed-door meeting between Rowley, Young, Rainier and Sandals deputy chairman Adam Stewart at the Prime Minister’s residence. What was the real agenda at this meeting? Prior to that, there was a December 10, 2018 article headlined “Sandals or laced up boots” written by Mr Reginald Dumas, former diplomat and head of the Public Service. If I am right the statements made about the withdrawal fall within the mindset of the current administration which treats any criticism of it as “unpatriotic”, another way of rebuking the public for being “farse and outta place”, when the public was just, “minding their own business.” In other words, the PNM is taking up the directive of the first Prime Minster and party founder, the late Dr Eric Williams who said words to the effect, “when I speak, let no dog bark.” This government takes no responsibility for what has happened with the Sandals fiasco and we as a nation are none the wiser. Reply to "Who pulled out, Govt or Sandals?"